What in all reality is a Cerebral Stroke? We have all heard talking about a Cerebral Stroke or a Cerebrovascular Accident, (CVA), but not everybody really know what it is. The stroke is really one of the most complex problems for the rehabilitation. The word stroke comes from the Latin word “Colpo” (strike), same translation for the English and the Greek. The Cerebral Stroke is a stroke of the brain just like it happens in the heart when the blood nutrition fails the brain is injured. Therefore the Cerebral Stroke is a vascular spasticity that disrupts the amount of blood to a brain region. The stroke, “strike” can be of different types: it can be a hemorrhagic stroke, for example because of a rupture of a cerebral aneurism or it can be due to a cerebral ischemia. The definition that the world health organization, the W.H.O., gives is that it is the unforeseen appearance of signals and / or symptoms that refer a focal and / or global deficit of the cerebral functions, with duration of over 24 hours or an unfavorable result, which cannot be attributed to any other apparent cause but to a cerebral vasculopathy. 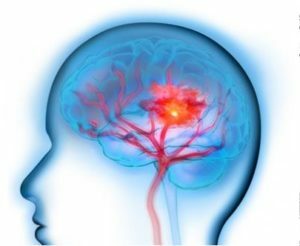 A cerebral stroke damages the brain and as we know the brain is the organ of the mental and cognitive functions, therefore a stroke alters the cognitive processes that allow the body movement. It is a fact that after a stroke the most evident result is a motor paresis in half of the body: Hemiplegia and Spasticity. The consequences of a cerebral stroke, represent the most delicate of the rehabilitation and physiotherapy because to recover the movement it is necessary to recover the cognitive processes that determine them. The Neurocognitive Rehabilitation, also called the Perfetti Method, is the rehabilitative answer that best adapts to the recovery of the results of a cerebral stroke and of a hemiplegia. The only method that considers fundamental the recovery of the cognitive processes in order to recover from the results of the cerebral stroke. It projects the exercises based on each specific case of a stroke. It is a method based on a scientific research.